Again this isn't a big MOC showing forum but i hope people like (or don't mind) this post. 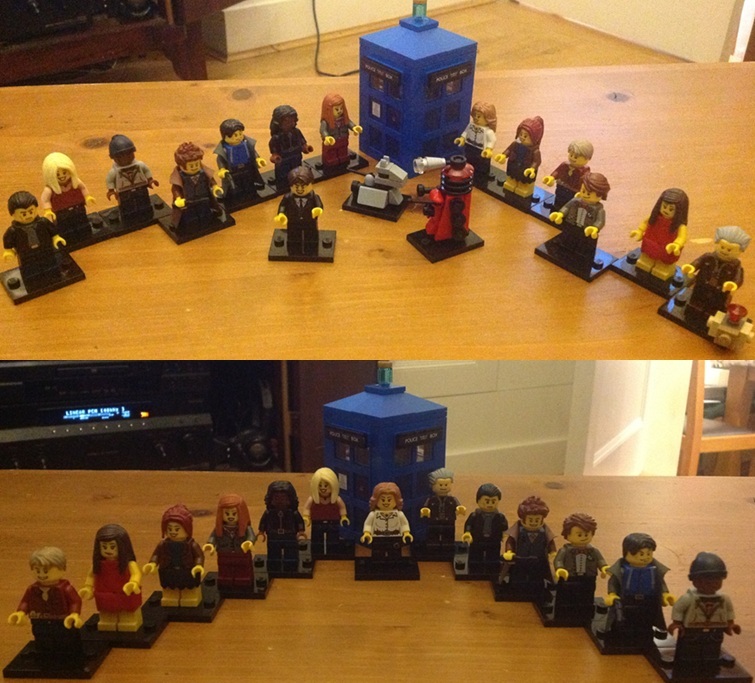 Anyway it was so good that I just had to have a pop at Lego versions. 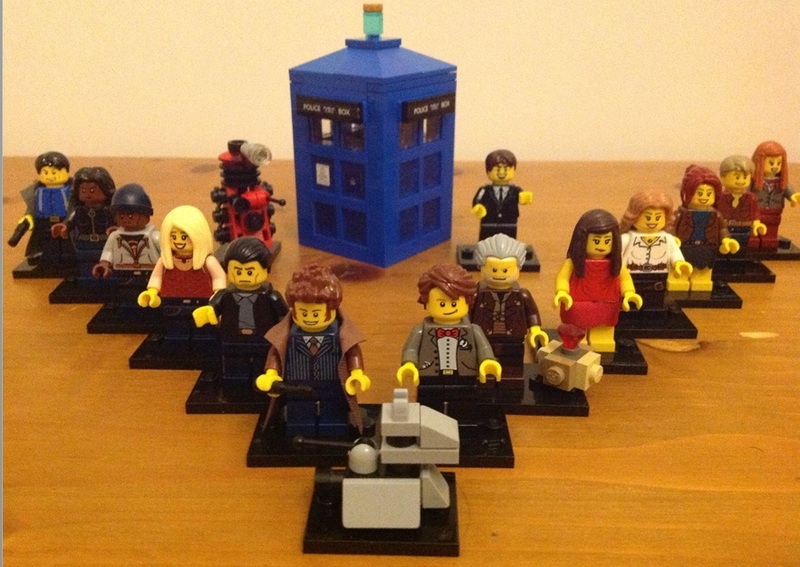 Since I am late the game here there have been a few of these done already and plenty of images on the internet, some characters are obvious with Lego only making a few parts that can do the job but for others I think I have made a good job. The only rule I set myself was using official printed parts only for arms, heads, hair, body and legs with cloth skirts and coats being the only custom made parts allowed (Tardis stickers not counted). 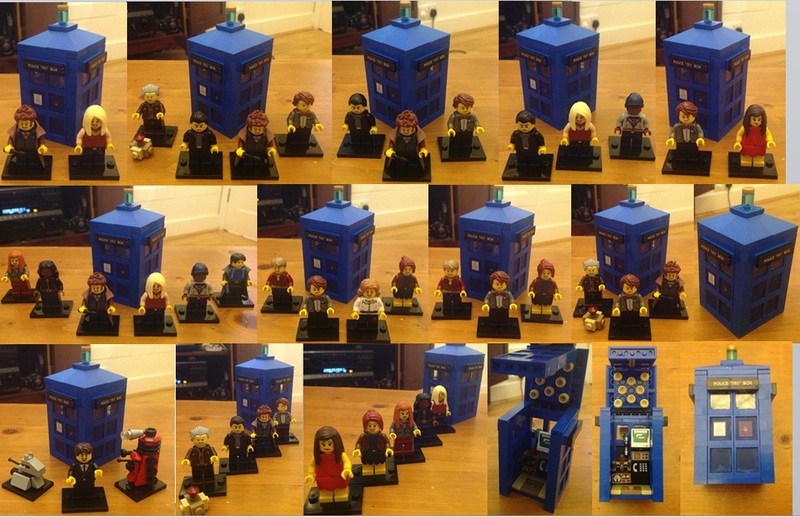 This was a lot harder than I thought for a simple blue box. First of the stickers are a mixture of homemade (the blue panels) and ‘borrowed’ from another brands version of the Tardis. The key for me was to be able to open the box up and allow some level of playability. That meant no central consol but a side based on (complete with leaves, screens, a phone and of course a big red button) leaving enough space for one figure to stand in front of it. The roof detail was a small nod to the round things that no one knows are for. Maybe the Tardis could be made so that it folds out rather than just opens - that way you could have a more detailed (or at the very least, more 'big') interior, maybe. @plasmodium - I did look at that option for a while but then the roofline becomes tricky (esspecially where the Police Box signs are) and somewhere on the exterior wall you are left with hinge lumps, or if you put the hinge on the corner you lose the shape of the box altogether. There is a good option if you build a removable roof and have the hinges swing out from the mid-section of the two side walls, less of an ugly finish maybe but you still have four small lumps to look at? Anyway my shocking photography aside i finally managed to snap a halfway decent shot. Kinda was, If John Hurt was the first "Body"...then Matt Smith was the 13th Body, But 12th re-incarnation....Different Case, Same Operating System.